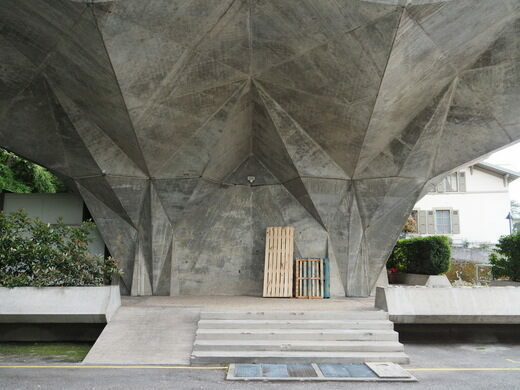 This rare piece of Swiss Brutalism is a unique, gorgeous piece of architectural eye candy. The pink, blue, and orange hues of the windows make it look as through the glass is permanently reflecting a cotton candy-colored sky. 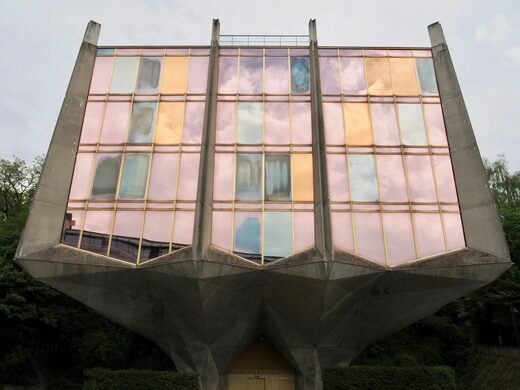 The building is home to the Swiss Medical Research Foundation and has been nicknamed la Tulipe (the Tulip) because of its shape and vividly colorful tinted windows. It was designed by architect Jack Vicajee Bertoli, who once collaborated with the famed proto-Brutalist architect Le Corbusier. The unusual building is considered to be a rare example of (soft) Brutalist architecture within Switzerland. La Tulipe stands out among its nearby structures. 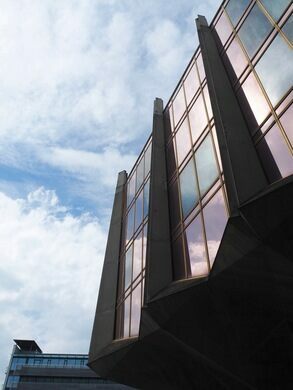 It seems like the type of architecture you’d expect to find in an ex-Soviet republic rather than in Geneva. The strange union of harsh, hulking concrete and rosy glass makes it look a bit out of place within its surroundings. It’s also jarring to see the blunt, straightforward elements of Brutalism used to create a florally inspired building that looks both stoic and delicate. The building is situated just next to the main hospital of the city. This abandoned Brutalist treehouse is a hidden architectural relic. A science fiction-inspired apartment building designed by a famous Spanish architect.